Last year I had the pleasure of taking a class with Dan Essig. He taught about fifteen of us how to make a tree book. 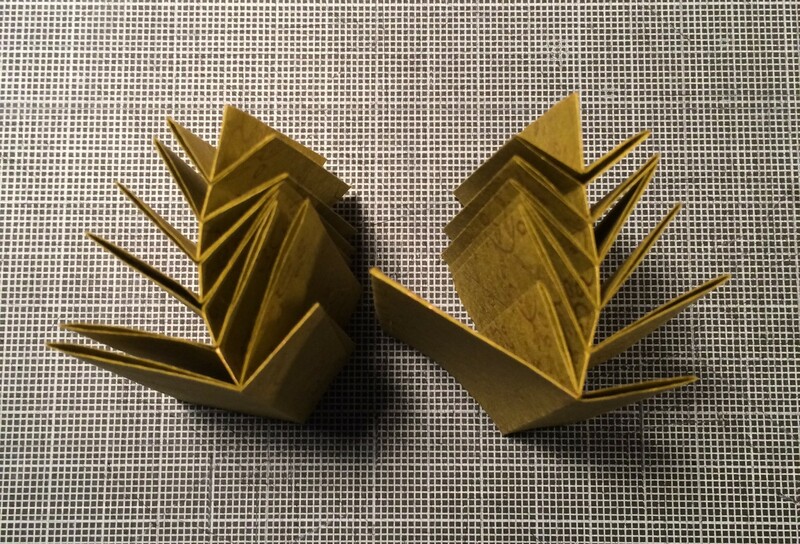 This format utilizes the fishbone fold, a folding and cutting method invented by the esteemed Hedi Kyle. 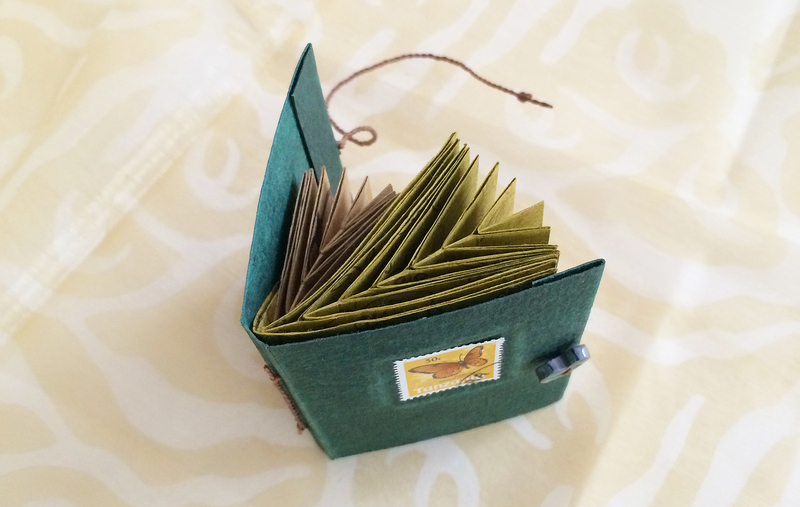 We used handmade paper by Ann Marie Kennedy for the cover (the green book), vintage stamps, and nepalese paper for the fishbone folded interior. 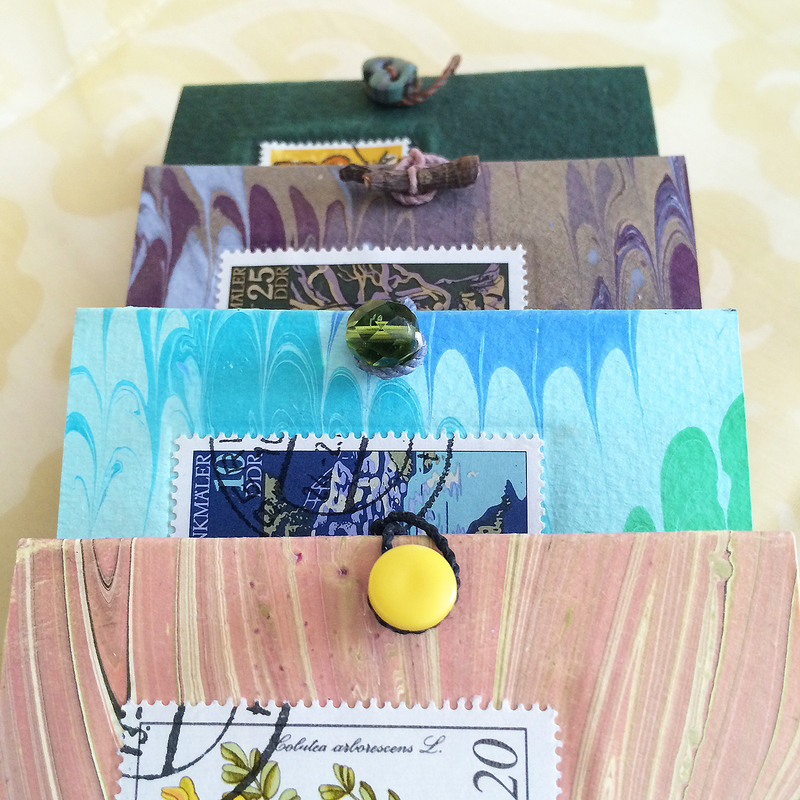 Dan also provided handmade ceramic buttons from an Asheville, NC artist for the clasp. 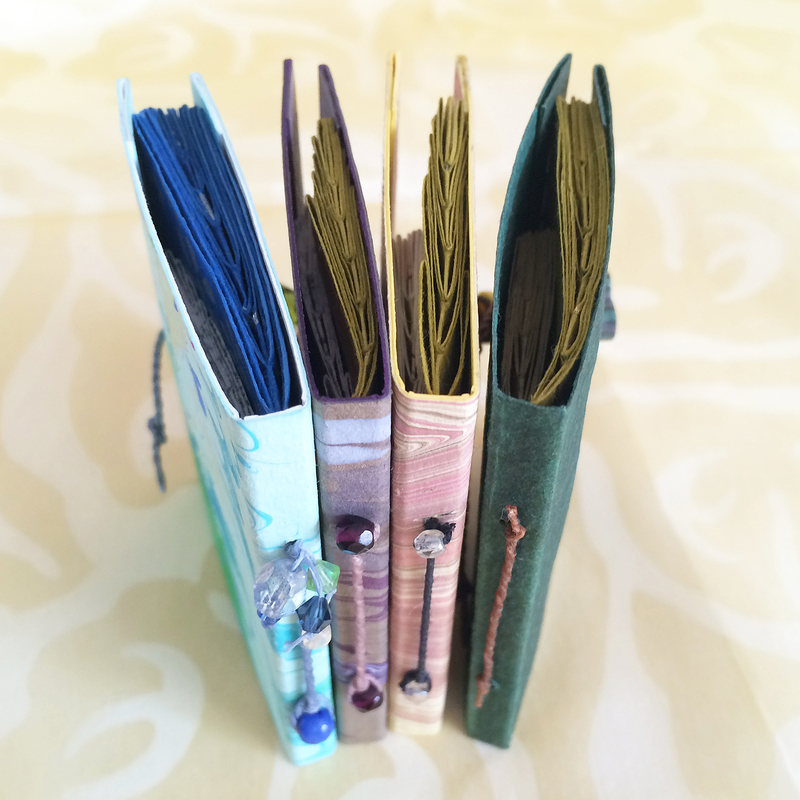 I enjoyed the class so much I made four more books over the next few weeks, using my own marbled paper for the covers. 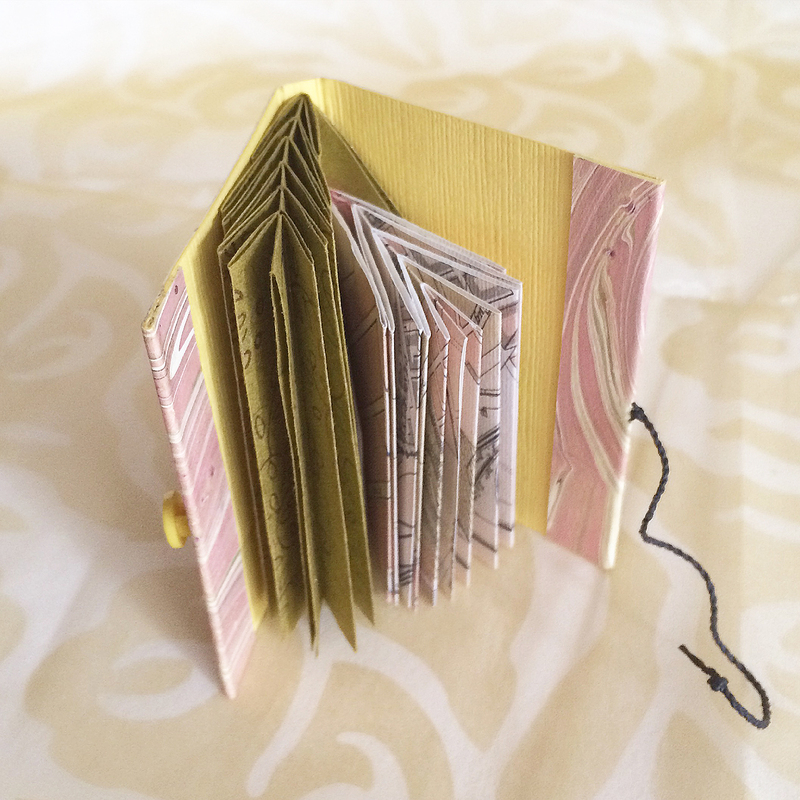 The tree book incorporates two different sizes of fishbone folds which give the format it’s name. From above they look like little trees or tree branches. 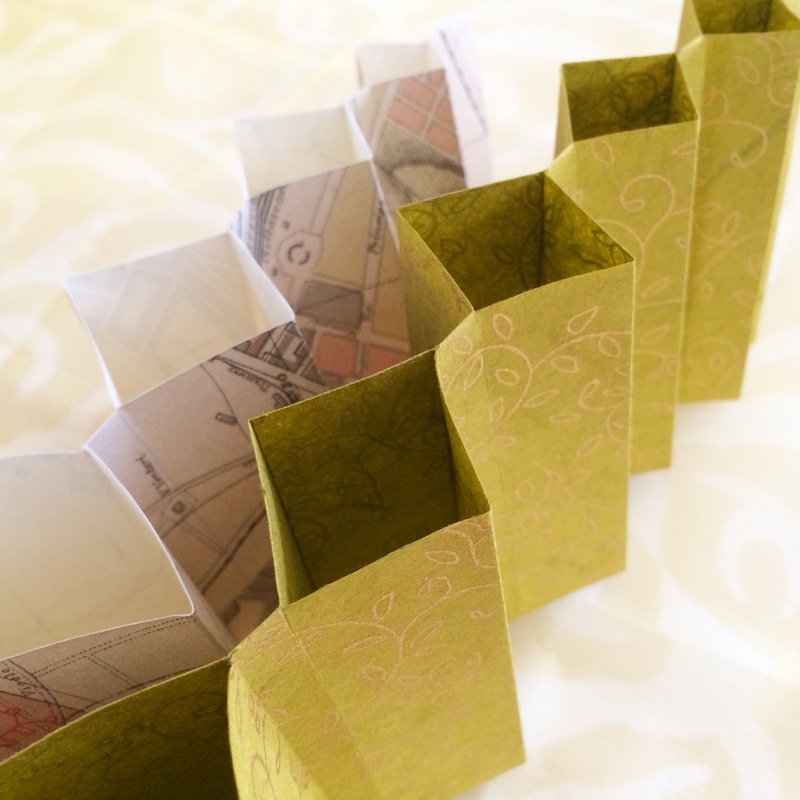 These measured 3.25″ h x 2″ w.
Precise measuring is key to making sure the folds sit evenly and straight when tucked in. It took a few practice sheets, and a patient instructor, to get the hang of it. Applying words to the “branches” to form a quote when extended or attaching imagery are just a couple of twists that would be fun to explore with this format.